- Trent Baretta defeated Candice LeRae using the Dudebuster. Baretta did a great job in the role of the guy reluctant to fight a woman while LeRae was mad and would attack him in any way possible. LeRae makes a great babyface in peril and it was as good as it could be for the style they were doing. - Trevor Lee defeated ACH with a fisherman buster. Some strong athletic spots from both men. It was hurt by Lee kicking out late twice from near falls. - Matt Sydal defeated Pete Dunne with a shooting star press. This was Sydal's first match in months. I don't know if the two have ever wrestled before. Sydal still does some really impressive stuff regarding speed and agility. Good but not a blow away match. Match went nearly a half hour. Some stuff, like Hero's strikes and some of the other interplay was great, but the crowd was in and out of it. Good match. O'Reilly pinned Hero after Chasing the Dragon. - Hero did an interview after putting over the other three and also talking about how Baretta and LeRae tore it up earlier and then went on to address the elephant in the room, his own situation. He noted that he really doesn't know (and right now that is the status of everything). It may be his last time here and it may not be. He noted the situation with Willie Mack that a lot of guys talk about where he was in, told he was in, but then WWE decided against him being in and he never could get a reason why for months. - Chuck Taylor defeated Adam Cole in a number one contender for the PWG title match. A lot of comedy. Taylor is on a long winning streak here, not sure how far back but some thought it could be as long as two years. 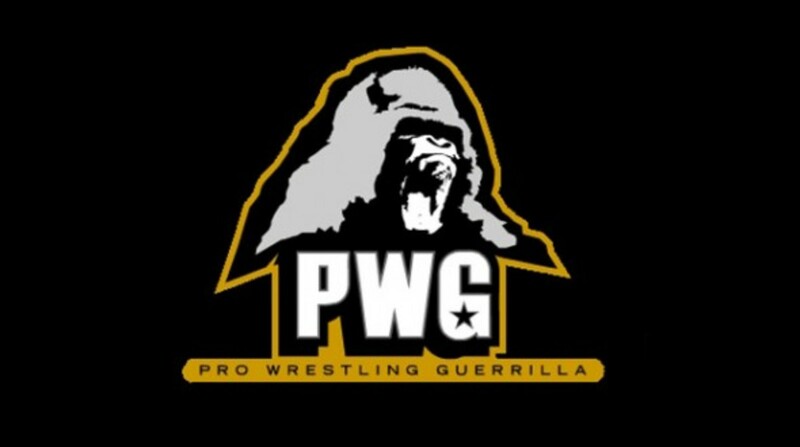 - Jeff Cobb & Matt Riddle defeated PWG Tag Team Champions Young Bucks in a non-title match. It seemed like this was to set up a title match program. Excellent match, very different from any Young Bucks match I've seen. The beginning was them selling that one-on-one they can't compete with the wrestling and grappling and power of Cobb & Riddle. Eventually they used a lot of double-team moves and superkicks of course. Cobb & Riddle have both improved greatly in the past few months when it comes to confidence and knowing what they need to do to get over. This was an excellent match. Riddle used the Bro 2 Sleep and Cobb used the Tour of the Islands to pin Matt. It should be noted that Riddle came out first, and then Cobb, and everyone was excited to see them in a singles when the Bucks music came out and it was announced as a tag team match. The two do need to eventually do a singles program here since the match everyone on the indies has booked came from their interplay at BOLA. - PWG World Champion Zack Sabre Jr. defeated Marty Scurll with a unique armbar type submission in a match that went more than 37 minutes to keep the title. This was a technical masterpiece. Their styles are perfect for each other and it brought out the best in both men. It was like two technical masters of the old British style with the holds and escapes and counters, combined with modern moves, the strikes, the broken finger spot by Scurll. Sabre's selling was tremendous in the sense he'd do little sells of every injury from Scurll's different body part damage throughout in subtle ways. Felt in many ways like watching a Billy Robinson match against someone of his style where you'd see things you've never seen before. They ended the show teasing Sabre vs. Taylor.